Awww I love No Doubt! I had no idea they were having a reunion tour, I've never been to any of their concerts. Great coverage! It's hard to say which period is my favorite, cause I appreciate her creativity with each album. From their self-titled ska-inspired album and the Beacon Street Collection to Tragic Kingdom and Return of Saturn. I have gone to 3 concerts of No Doubt - 2 from the Rock Steady album and 1 during the RofSaturn album. I enjoyed them all! Have fun at the show, Leeann! 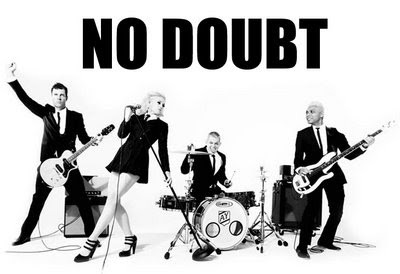 I LOVE No Doubt, they are coming to raleigh, i can't wait. are you going to irvine? jennifer bought tickets and i'm stealing some from her! Is that the show you're going to? Ohh I love Gwen! I saw her in Concert here in Aus a few years ago and she was just amazing! And she is SO TINY in person! She had a few costume changes but she looked amazing in her little "Alice in Wonderland-esque" get up that she does so well. I loved it when she had the blonde hair with the pink tips! old school, chola'd out, just a girl, dickies Gwen is my absolute fav!